This tab presents all of the email correspondences between the organization and the Client / Supplier. The searching fields at the top of this widow are used for filtering the Email records according to the required definitions. Filter the records according to the values of the searching fields at the top of this this window. Show all of the Email correspondences with the Client / Supplier. Print his table. This option also allows to export a PDF file of this table or sent it by Email. Create a new Email message. This button will open a new message window, using the Hyper Email System. 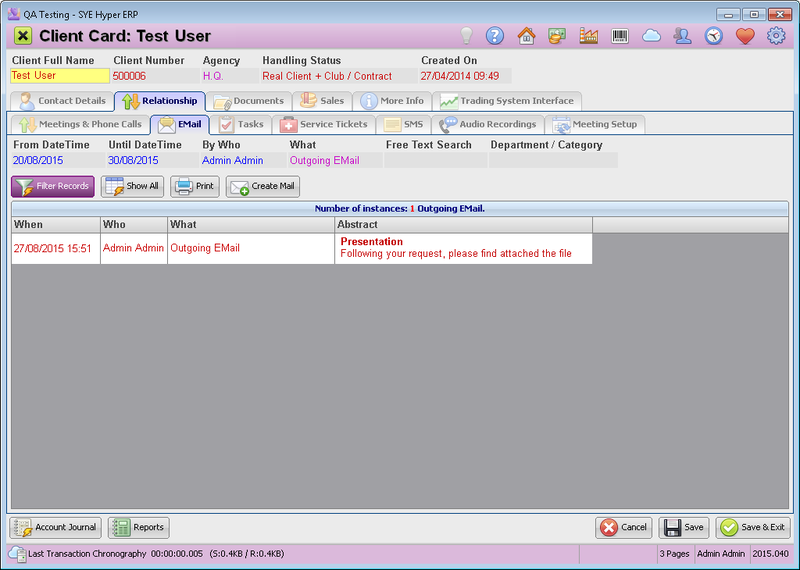 Double click on each of the email messages in this table records to open the message window for any further required action related to the message.